Food Safety is paramount in everything we do. Vision Produce Company continually works to maintain a warehouse and business that is aligned with the Food Safety guidelines and standards of our industry. We are active in advancing important Food Safety Programs with our growers through Global Gap and we align ourselves with FSMA guidelines throughout all aspects of our business. Vision Produce Company employs a dedicated Food Safety Manager who is on site at our Los Angeles facility at all times. Our Food Safety Manager along with our Food Safety Committee, develop and oversee Food Safety regulations, policies and procedures for both our Los Angeles and Phoenix warehouses. Our Food Safety manager oversees programs including HACCP, FSVP, GFSI regulatory audits, food safety training programs, standard operating procedures (SOP’s) and product inspections. Vision Produce Company participates in the PrimusGFS, Global Food Safety Initiative (GFSI), universally and globally recognized audit scheme. GFSI’s vision: “Safe Food for Consumers, Everywhere” parallels our own creed, “Success with Integrity”. The integrity of our facilities, our produce and our business drives our company and employees to ensure that the fruits and vegetables we procure and sell are healthy and safe to eat. Our third-party Certification is conducted through NSF International, known as “The Most Trusted Name in Food Safety”. For over 70 years, “NSF has been helping businesses in the Agricultural, processing, food equipment, restaurant and retail industries to navigate the food safety and regulatory environment”. PrimusGFS audits include Food Safety Management Systems (FSMS), Good Agricultural Practices (GAP’s), Good Manufacturing Practices (GMP’s) and Hazard Analysis Critical Control Points (HACCP). In 2009, Vision Produce Company proudly received a PrimusGFS Audit score of 98% and has maintained a score of 98% or above since. Our commitment to being a leader in the Food Safety Standards for our industry, is paramount in everything we do. Vision Produce Company follows the seven HACCP Principles to ensure that our product is safely maintained throughout all points of the supply chain. HACCP Principles work to prevent or reduce the potential for any physical, chemical or biological risks that could potentially harm consumers. As required by FSMA, both our Warehouse and Food Safety Managers are HACCP Certified and attend training’s and re-certification every three years. Employee Training - Personal Hygiene, Sanitation Practices, Food Safety and Security and Food Borne Illness and Employee HACCP Training. Environmental Monitoring and Microbiological Testing Program. We systematically test our production space and equipment for E. Coli and Listeria. We randomly conduct product testing for E. Coli and Listeria as well as by request. Pre-Harvest Quality Checks, Post-Harvest Quality Checks, Proper Working Conditions, Waste Control, Equipment Maintenance, Equipment Sanitation, Farm Operation Efficiency, Facility Safety Procedures, Facility Sanitation and Employee Personal Hygiene. Proper Crop Management and Proper Pest Management. All foreign suppliers must demonstrate the use of a Food Safety Management System. Foreign suppliers must provide third-party GAP Certification and/or GMP Certification for their Farms, Packing Houses or Facilities. Our FSVP Program is updated monthly by our Food Safety Manager on site in Los Angeles. Traceability is a key component in any Food Safety Management Program. Vision Produce Company maintains comprehensive electronic record keeping through our Produce Software System. Diligent record keeping allows us to track our products through all points of the supply chain; from origin to end user. With this comprehensive data, we are able to trace down to the lot number all produce that enters and leaves our facility. Meticulous traceability enables effective and immediate recall capabilities. In the case of a potential hazardous threat, we are able to immediately track, quarantine, and recover any product in question. To ensure the effectiveness and efficiency of our Traceability Program, Vision Produce Company provides continuous Traceability Training for all warehouse personnel and conducts quarterly mock recalls to ensure proper handling of any potential Food Safety Risks. Due to the overwhelming demand for Organic Produce and our own investment in an Organic Farming venture right here in Southern California, Vision Produce Company has pursued the Organic Certification of our warehouses to better serve our customers and shipper partners. We firmly support the Organic Food Movement and believe that the advantages of Organic Farming benefit the grower, the consumer and the planet! 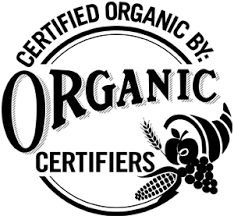 To view our current Organic Certifications, click the links below! Not only do we have over 10,000 Organic Seedless Lime Trees, we also grow Organic Tangerines, Grapefruit, Avocado and more! Click below to connect to Rancho Encantado!